When you are being evicted with nowhere to go, there are options. The hopelessness of this situation, is only a “feeling”. When you are faced with getting evicted by the county sheriff and time is short, lets look at what you can do. Because, it’s time to take action. 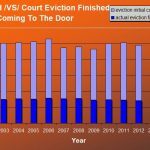 The Process of Getting Evicted With Nowhere To Go – How Did We Get Here? When your landlord gave the notice that there would be an eviction taking place, that probably wasn’t the first time you knew there was a problem. Most evictions in America take place because of a late rent problem. That statistic is above 75%. So if you are reading this article because the eviction is coming because of a late rent problem, you are not alone. In fact, you are in the majority. Under the circumstance of an Eviction with nowhere to go, there are always options. Let’s hit the major options and some of the minor options as well. B. Not already having an eviction on your credit report. If you are early in the eviction process, with just having a landlord demand letter, instead of a court eviction notice, then you can probably still go to a new rental under a new landlord and have it work just fine. If you are late in the eviction process, after the court eviction notice, and after the court date, if there was one, then you most likely already have the eviction on your credit report. Check your credit report for free once per year here. If you do not have enough money to pay the new landlord’s 1st month’s rent and security deposit, see more options below. There are always more options when you are evicted with nowhere to go. Keep that in mind. This option is taken from the big article on Do You Need Help Paying Rent ASAP? Sometimes your friends and family will know that if they don’t help you out with a little rent money, that you may have to live with them in their house. So, they help. This one is a no-brainer. If you have some close friends you can bunk with, or move your family with children into their house, that may work. Most people have some family they can rely upon. Although you may not. It depends upon your situation. However, remember this…even if you are astraigned from your family from some reason in the past, now may be a perfect time to make amends. Use the next few months, while you are getting back on your feet, to build that relationship again. With good family relationships you may never need to worry about being evicted with nowhere to go again. 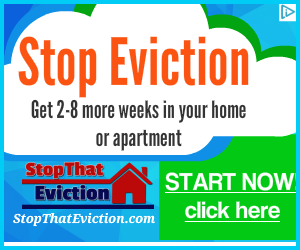 This method can be used to slow the eviction process down and get you back on your feet financially. The local homeless shelter is designed to keep people off the street. They are a charity organization. And they exist in nearly every city in the United States. The local shelter tries to provide a clean safe shelter area. For single women with children this still may be a problem. Sometimes in some cities there are special shelters for ONLY women with children. Remember, this article is meant to be all-inclusive. I do not recommend this. I have seen over many years that some people when they get evicted, move into their car. This usually only works in warmer climates. This could mean death in the winter in cold Northern climates. There have been several people that I know personally that when they were evicted at a low point in their life, they lived in their car for a few months. It wasn’t the end of the world for them, because they got back on their horse and found a job. But, there are several other people that live in their vans and RV Campers full time. So, this really depends upon your vehicle, your climate, and your family size. In fact, I have a personal friend right now that is living full time in a large 5th wheel camper with a truck. They have 6 kids. It is winter in early January at 2 degrees Fahrenheit. It is tight, but they are doing it anyway. When an eviction happens it can feel crushing. However, its not the end of the world. You have more options than you think when getting evicted with nowhere to go. Some of those options will give you an adventure. Other options will help you to grow. Yet some options will actually better your situation, depending upon what resources you are starting out with. Your mental attitude goes a long way in determining if this eviction will be crushing to you or be the best thing that ever happened to you in your life. It all rests between your ears. I know of millionaires that have been evicted and lived in their car as the low point in their lives, but rallied back in a few years to be better off then when they started. Again your own thoughts go a long way to determine what your future will hold. When you are faced with getting evicted with no place to go, make sure you formulate a solid game plan with backup plans. These plans will go a long way to build your confidence back up. Then work your plans day-by-day.